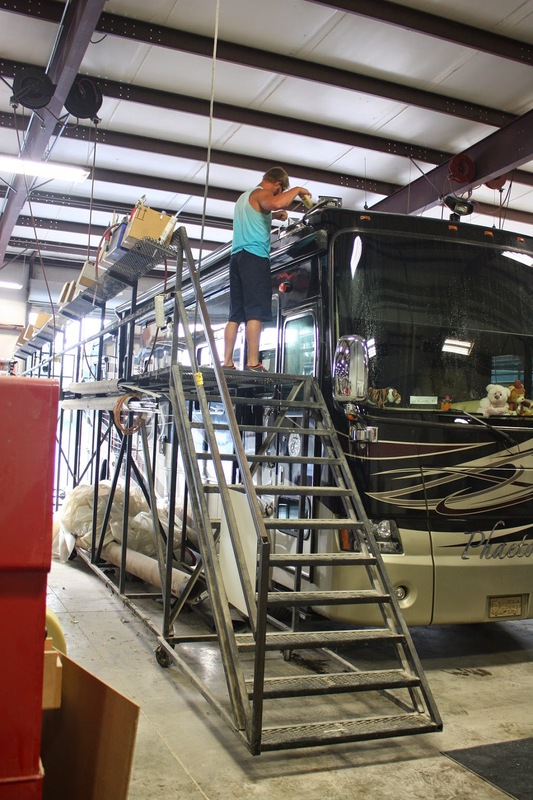 For owners of a Tiffin Motorhome, Red Bay, Alabama is Mecca - a place to get wrongs made right. In other words to get things fixed that have broken on their motorhomes either due to the owners negligence or the lack of quality control by Tiffin. When we were in Lake Worth, Florida last month, we were parked in a terrific campground for two weeks. As everyone knows, it rains almost every single day in that part of Florida during the summer. Rust set in on our already weakened condition entry steps. 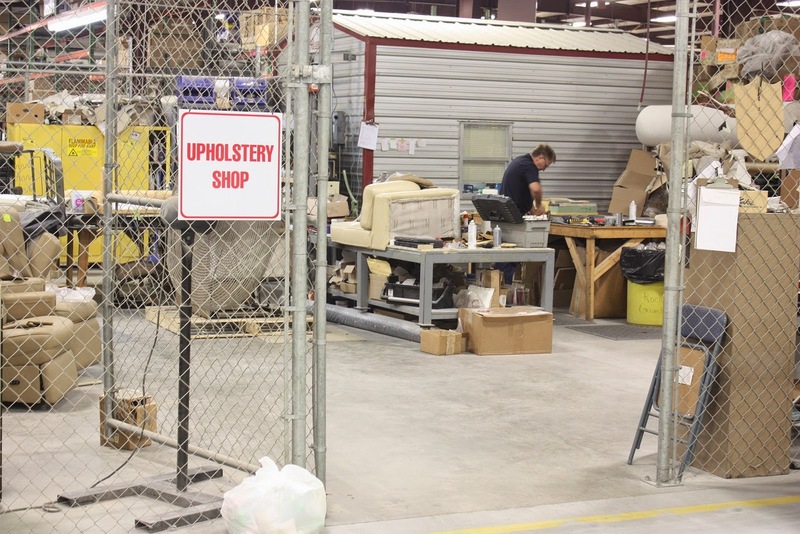 Rather than trust the work to an untried RV tech in Florida, we decided to make the trip to the Tiffin Service Center which is near their factory in Red Bay. On the way we thought of a few more things they might work on. 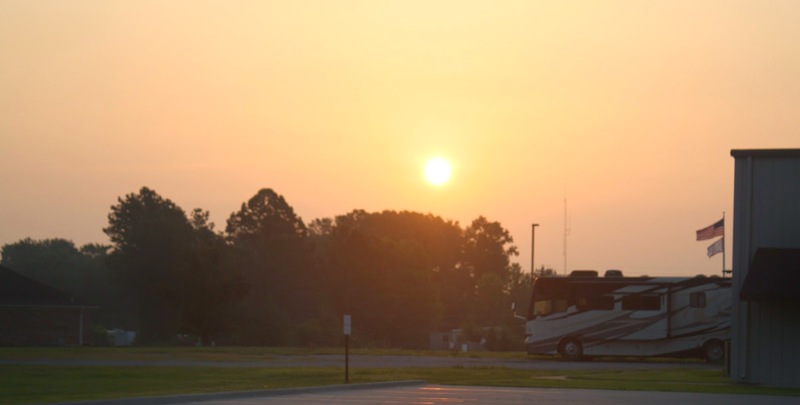 Motorhomes are big and service centers for motorhomes are big, too. 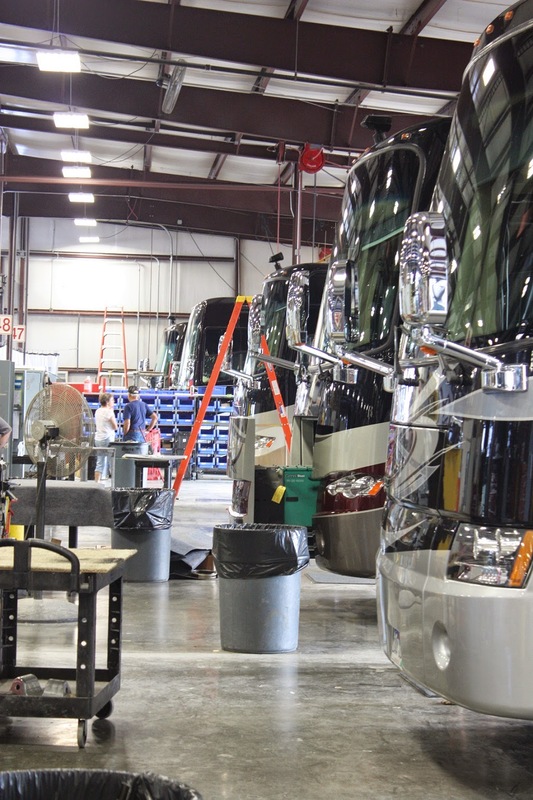 There are 50 service bays there to get work done that ranges from plumbing and electrical work to body repairs and even room modifications and furniture improvements. No work is performed on the engine or transmission. 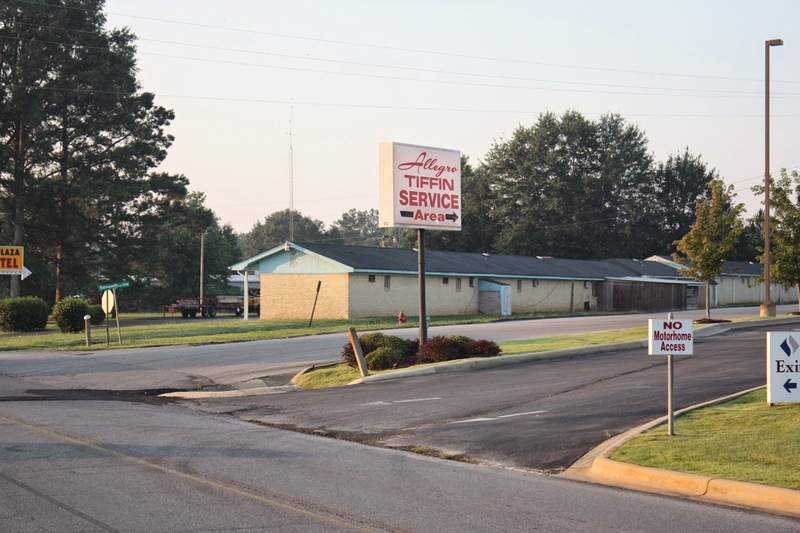 The Tiffin Service Center leaves that up to Freightliner, Cummins and Allison. Some of the work that is done here is warranty work on new and even-not-so-new coaches. 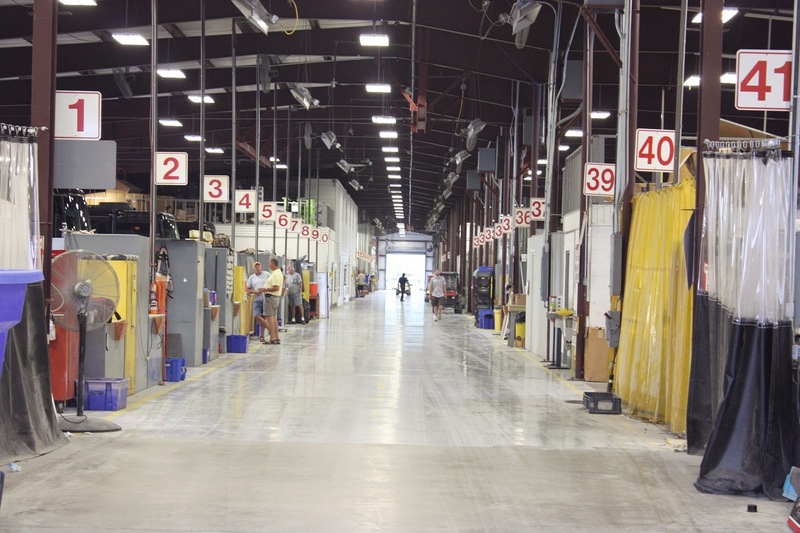 Tiffin stands behind their product as well as any RV manufacturer in America. It is one of the reasons that they are a market leader in motorhomes. Many Tiffin owners are fiercely loyal just like Ford or Chevy owners. 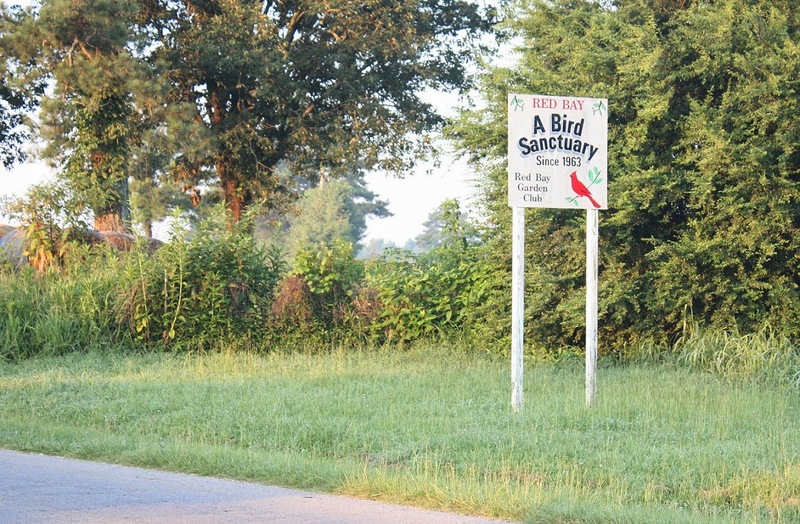 For that reason Red Bay, Alabama becomes their "Mecca". They come from all parts of the country to a place that really has little attraction other than to have work done by expert RV techs. Red Bay is the size town where it is said the "roll up the side walks. For people with sophisticated tastes, there is nothing in Red Bay except the fine gray/white powder dirt that gets all over everything and into everything. Rain is a welcome relief that removes some the dust churned up by vehicles. They literally line up to have work done, though. 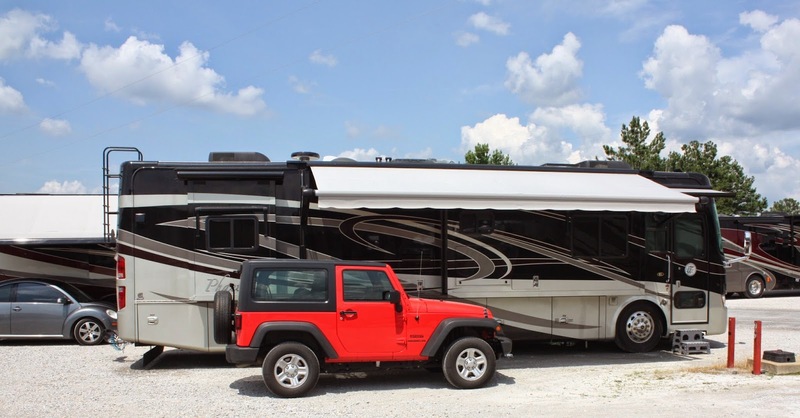 Camp Red Bay is the waiting room at the service center that can hold a hundred motorhomes with full hook-ups; each motorhome is plugged into 50 amp electrical service, water and sewer. There is plenty of room for overflow dry camping, also known as boon docking. There is no Catholic Church in Red Bay, no Walmart, no movie theatre, you cannot get any TV stations but still it has a charming town square park. We waited 5 days to have just 3 hours by two RV techs. Does that give you some idea of how the work they perform is valued? 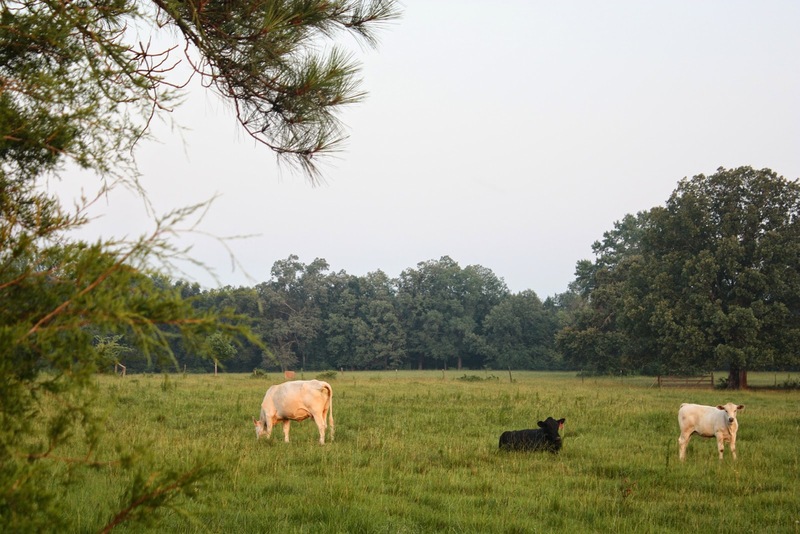 A dog's walk from Camp Red Bay is a farm. The observers were casual to the goings on. Red Bay is in farm country and most of the business in Red Bay is agribusiness. 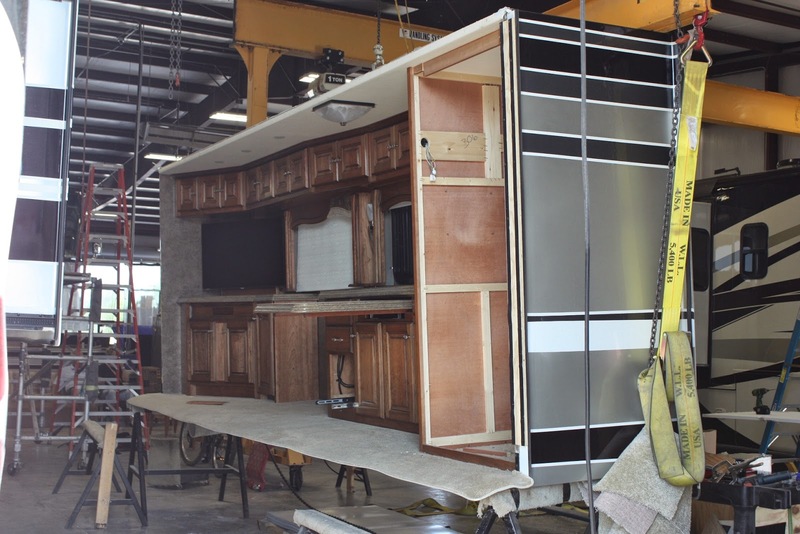 Bob Tiffin started out with a hardware store and in his spare time built an RV. He got requests to build more and so he got out of the hardware racket to start a motorhome company. the lucky motorhomes move to their designated bay even before the doors open. This is a slide out from an Allegro Bus removed to have work done. These slides can weigh 2 tons or more so use of heavy equipment is necessary to move them. This fellow was at Red Bay for 74 days having work done on a brand new coach. He tows the white pick up with a golf cart in the bed and a refrigerator strapped to the golf cart. You have to really trust straps. He and his wife will drive straight through to South Dakota. Work completed, we left Red Bay yesterday and headed to Woodville, Alabama which is just east of Huntsville to see friends and do some touristy stuff at the US Space and Rocket Center. I will let you know about that later.